For commercial use of this photograph please visit www.alamy.com and search for RJ9YWA but for a one off print, please see below. After refurbishment of the Sparkford Inn and the Charrington signage has been changed to Bass. However, the post sign still shows Bass Charrington and a scene of a huntsman and hounds - this was later changed. 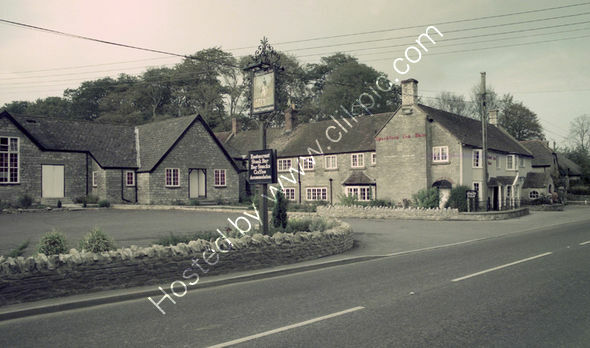 The out-building to the left of the pub appears to have its doors boarded up at this time in 1975.